Do you happen to run a restaurant? If so, you’ll understand the sheer enormity of responsibilities weighing on your shoulders each and every day. Not only are you responsible for preparing food within a timely manner, but it is also your duty to keep your clients happy and content. Suffice to say, this process is easier said than done. Thankfully, there are some thing you can do to simplify your duties to some degree. 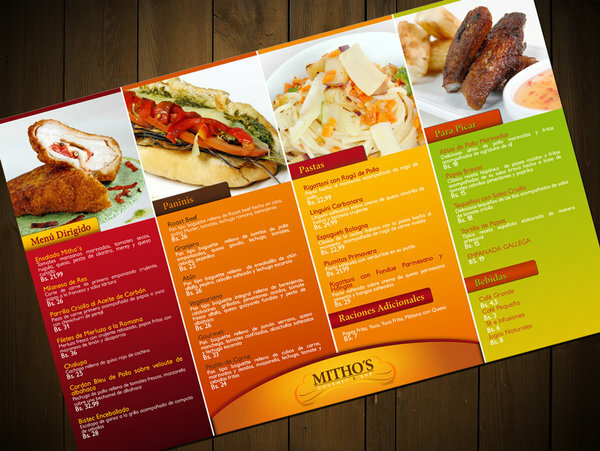 Crafting a sleek and effective restaurant menu will make your life a little easier. When attempting to configure your restaurant menu design, you’ll want to make things are easy as possible for your customers. Make sure all font is easily distinguishable and can be read by everyone, including those with eyesight problems. Font should be clear, bold, and easy to comprehend. Also, make sure all prices are easily identifiable, so customers can know precisely how much they’ll pay for each menu item. Although the sole purpose of the restaurant menu is to provide your customers with the information they need, you can also utilize the menu to your advantage. Instilling your restaurant’s name, logo and slogan into the minds of consumers is a great way to ensure they return again and again in the future. Sure, you could run television ads, but that would be expensive and potentially ineffective. Adding branding to your restaurant menu is an inexpensive and surprisingly effective way to gain exposure and transform one-time customers into repeat visitors. Remember to place your company’s logo, name, and slogan on the menu, where it will be difficult to ignore. Although the restaurant menu will primarily be utilized in commercial establishments, the uses extend far behind this point. In fact, it will be possible to utilize this simple document for an assortment of purposes. Whether you’re planning a wedding, having a family reunion or preparing for an upcoming birthday party, the menu will help to make the planning process slightly easier. It’ll inform your guests and let them know what they can order, so you can focus on the things that really matter. It is also a good idea to design your menu to perfectly match the situation and environment. For instance, if you happen to run a Mexican restaurant, you should include clipart and imagery, which represents Mexican culture. This will put a smile on your customer’s faces, while also encouraging them to embrace the theme of your restaurant or party.